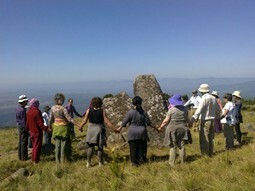 Over the past decade I have experienced remarkable things in and around the Stone Circles and Adam’s Calendar. Many people have reported unexpected healing episodes of all kinds – including cancer. In January 2018, the Stone Circle research team established a consistent improvement of multiple bodily functions, from regular measurements over many trips to the circles. In my article The Healing Properties of the Stone Circles, I explain the simple physics, and how the stone circles amplify the subtle frequencies of the Earth (Gaia) and how we begin to resonate in harmonic coherence with these natural frequencies, when exposed to stone circles. 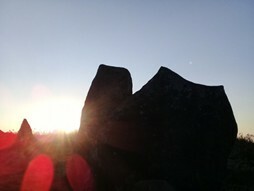 There seem to be perfect sweet spots in and around the Stone Circles that activate this resonance process. The energies at Adam’s Calendar are even stronger. Over a period of 11 days I will lead our group to Adam’s Calendar and several Stone Circles for extended sessions of meditation, healing, and channeling with Master Matthew Ryan. Matthew will lead daily guided meditations and facilitate Energetic Healing and Activations for our group, assisting everyone in tuning-in to the energies present at these sacred locations. 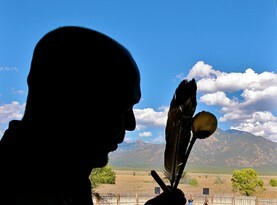 Matthew will also facilitate Channeled Readings for the group and individuals, assisting participants to understand their personal relationship to the Sacred Sites and their history. 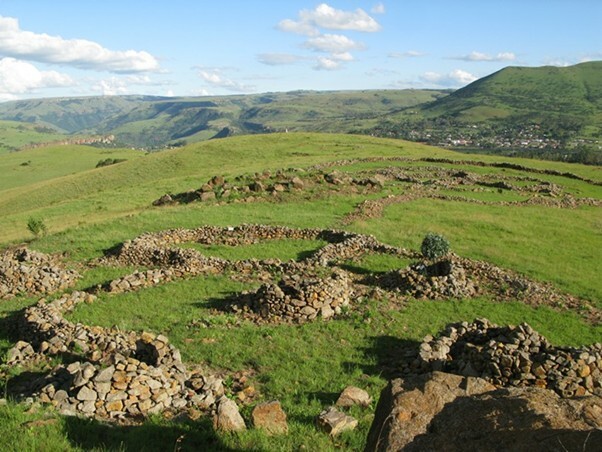 We will also hold workshops on the mountains and at our venue Stone Circle Lodge – learn more about the stone ruins, ancient tools and artefacts, and the ancient Anunnaki activity in South Africa. We will hold vibrant debates and fire-side chats, and remember who we are as sovereign beings of infinite light and consciousness – connected to the source creation, able to manifest our own reality. Now that we know that the mysterious Stone Circles carry such healing properties, it is time to use these remarkable sites for our benefit. 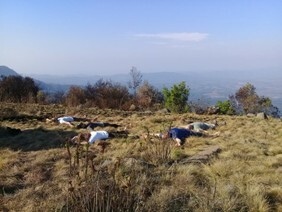 Matthew Ryan and I, look forward to taking you on this transformational 11-day journey of healing, mediation and enlightenment throughout the spectacular mountains of Mpumalanga, South Africa. 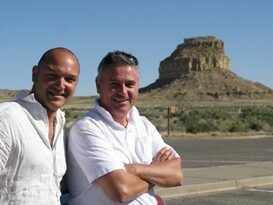 Optional visits to the Kruger Park, Giant Foot Print, and other ancient site will be available after our main journey. 1 December 2018 – Arrive at O.R. Tambo International Airport Johannesburg. Gather and meet group at Intercontinental Hotel opposite the arrival hall – Travel to Stone Circle Lodge in Waterval Boven – 3 hour journey. Check in – Welcome Dinner and fire-side sharing and getting to know each other. 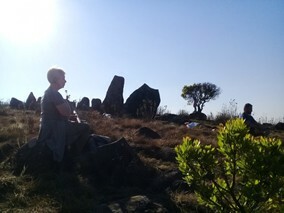 2 December 2018 – Breakfast; Orientation & introductions; opening circle and intentions; walk the labyrinth – Museum visit and introduction to the surrounding area; Lunch – journey to the first set of circles; orientation, explanation, meditation led by Matthew Ryan; silent individual time for absorbing the frequencies for the afternoon session. 3 December 2018 – Breakfast; morning meditation with Matthew; sharing of experiences; travel to other stone circle – orientation, meditation and silent time for absorbing the healing frequencies. Lunch at the lodge – afternoon discussion; channellings and tarot card readings. 4 December 2018 – Adam’s Calendar – full day – orientation – explorations – discussion – picnic – meditation – healing. 5 December 2018 – Breakfast, Morning session and discussion – Visit Waterval Boven waterfall – meditation and healing – Lunch; workshop and discussion. 6 December 2018 – Visit a new stone circle – explore, discuss – meditate – heal. 7 – 11 December 2018 – We revisit the 5 major healing-resonance sites including Adam’s Calendar – for a second round – to absorb and resonate with the Earth frequencies created by the stone circles. More group interaction – personal readings – channellings and other soul soothing work. 12 December 2018 – Final day at stone circles of our individual choice – break up into several groups – connect for the last time with the Gaia frequencies of the circles – resonate with them and absorb as much healing as we can. Group farewell dinner and social event at Stone Circle Lodge. Music dancing Fireside – whatever stirs our collective soul. Matthew and I look forward to hosting you and sharing this life-changing journey with you. BOOK YOUR PLACE: Click the bar/button at the top of the page and fill in the form.